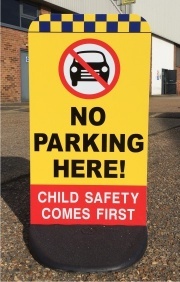 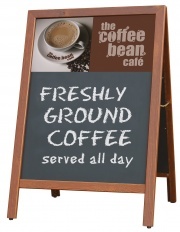 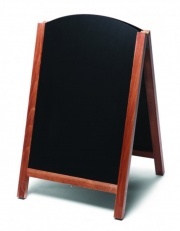 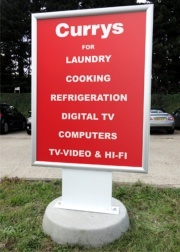 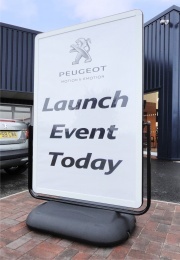 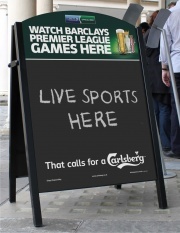 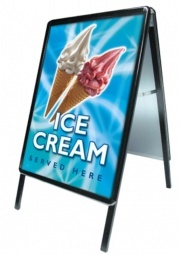 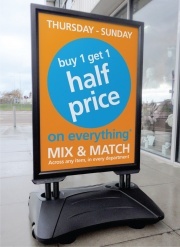 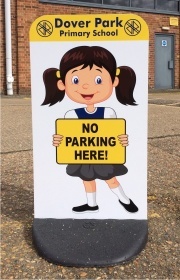 Pavement Signs, "A" Boards & Poster Holders: We offer a large range of Pavement Signage, Forecourt Displays, Swing Signs, Sandwich Boards, Poster Holders and A-Boards for retail and exhibition use. 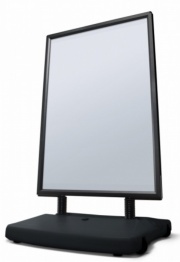 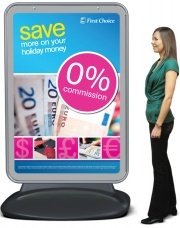 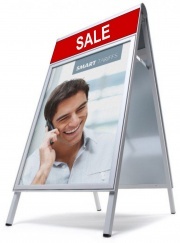 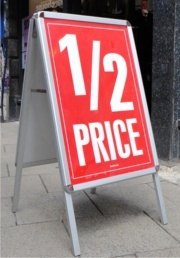 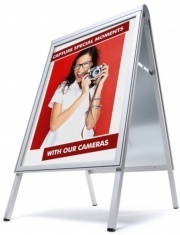 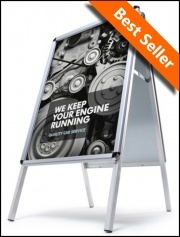 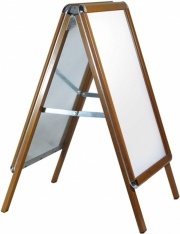 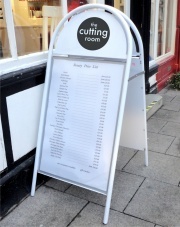 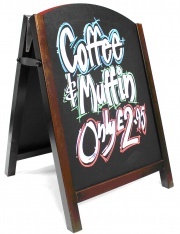 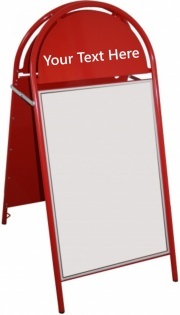 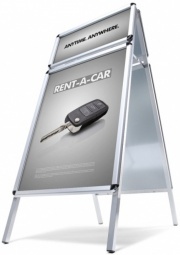 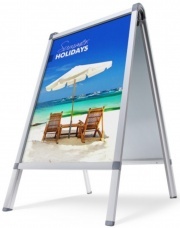 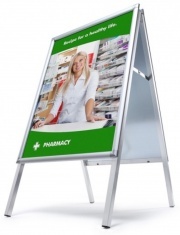 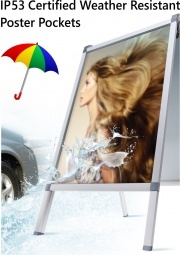 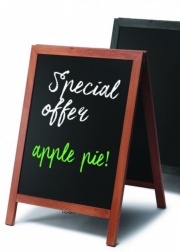 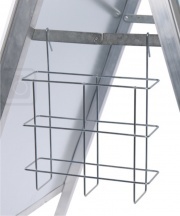 Pavement Signs, "A" Boards or Poster Holders are Ideal for promoting your business or organization, marketing and advertising new products, special offers and any other display or point of sale applications. 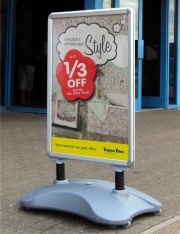 Poster Holder "A" Boards are ideal for colourful quick change printed media and are ideally suited to the needs of the retail sector.